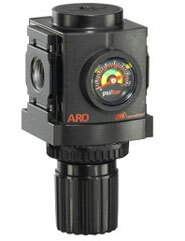 ARO R37231-600 compact air regulators are designed for general purpose pressure control over a wide range of applications. 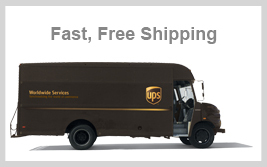 This regulator includes a unique flush-mount pressure gauge installed, no need to buy a separate gauge. The self-relieving regulator features a pull to adjust and push to lock adjustment knob. The regulator body is aluminum with a nitrile/nylon diaphragm for longer life. Panel mounting nut included with each unit (max. panel thickness 0.197 inches, M36x1.5 thread).